The Libertarian movement as a whole has always cared deeply about government accountability. The BC Libertarian Party in particular is well aware that British Columbia is no stranger to scandal and controversy. Many remember the Raids that took place during Railgate and the FastCat Fiasco “Ferrygate”. Oh, we’re used to hearing that the BC Premier has been arrested in Hawaii for a DUI or that the Opposition Leader is fooling around with his House Whip. We’re also used to hearing that public spending has gotten out of hand again, the debt is going to end up being bigger than expected, and that projects will finish over-budget and later than expected. None of that even comes close to the unexplainable scene playing out right now in the Legislature; this is a truly bizarre series of allegations and suspensions unprecedented in BC history. Lenz and James were placed on administrative leave Tuesday and marched out of the building by Victoria peace officers. Mullen, a former corrections manager at the Kent Institution, said he’d provided his investigative findings to the RCMP, which confirmed they are investigating under the direction of two special prosecutors. Here’s the strange thing. It’s still not known what James or Lenz are actually accused of doing. 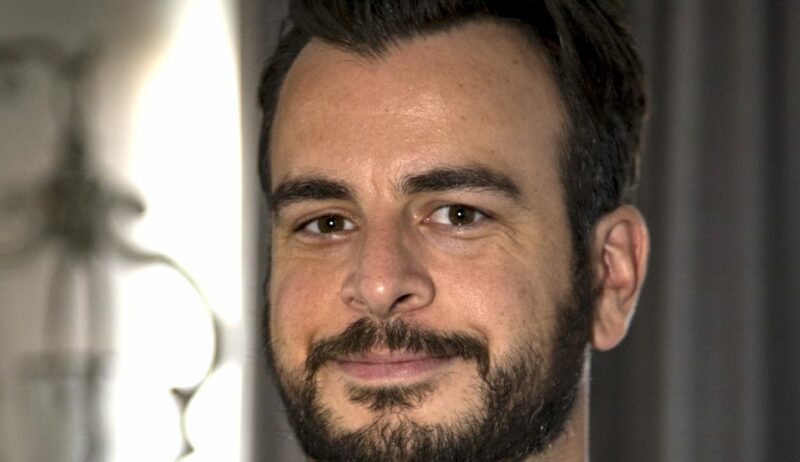 No charges have been laid and neither James nor Lenz has been arrested. Alan Mullen told media this past week that he was hired by Plecas in January to investigate Lenz and James (The Abbotsford News reported that Mullen worked on Plecas’s election campaigns). But the elected MLAs were unaware of this covert operation. Mullen said he has conducted federal corrections investigations but admitted he has no legal training. It’s incredibly important for British Columbians to be paying attention to what is happening in the BC Legislature at this time. The government must be completely accountable to the people and there are laws on the books to make sure that public servants can’t get away with criminal activities. But the lack of clarity around this scene is just as confusing; as it unfolds, British Columbians are told next to nothing about the investigations being conducted. Perhaps this means that we as citizens have to be more vocal towards the BC NDP and the RCMP about what we expect as Canadians. If the public isn’t properly informed about these kinds of scandals as soon as possible, how can we be expected to make informed decisions as voters and as taxpayers? Collectively the Associations make up the “Regional Caucus of the Party” representing your local interests and chaired by the Regional Caucus Chair, Dr. Kenneth Van Dewark. All Party members are automatically members within their local Association based on their primary place of residence. The reason why constituency associations or “riding associations” are so important is that they allow you to take part in party activities and learn about exciting events from the comfort of your local community. 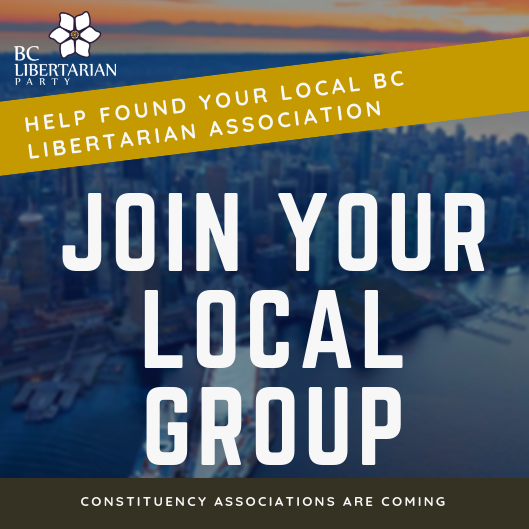 Every member who joins the BC Libertarian party automatically becomes a member of their local BCLP Constituency Association and that is based on your place of residence and local election riding, which is part of the information provided by you when you register as a member. The BC Libertarian party is proud to be a genuine grassroots movement party. 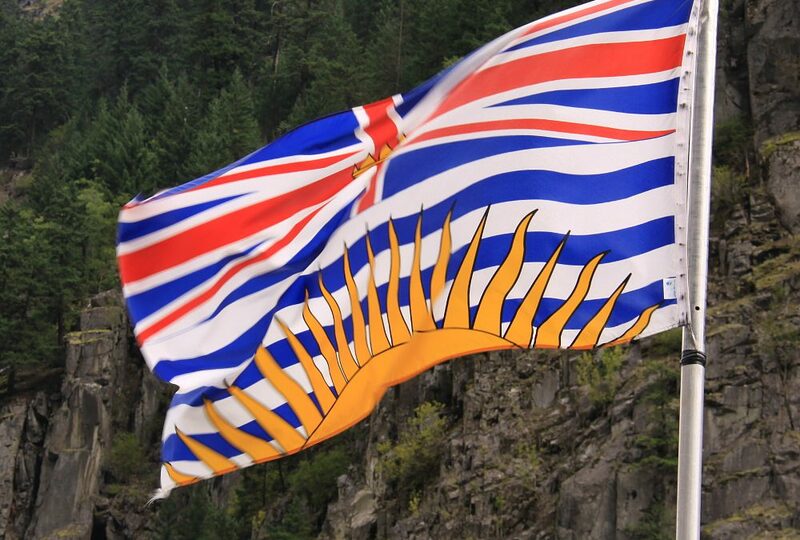 We’re built by the wonderful citizens of British Columbia to create a government FOR the people of British Columbia. We believe in ideals such as cooperation, individual freedom & responsibility, free market capitalism, direct democracy and the rule of law. Because of these ideas and principles that we hold so dear we know that it is extremely important to have British Columbians across the province directly involved in the important decisions made about how our party is structured. This also allows us to empower local CAs with the tools they need to run fun local liberty events and building powerful election campaigns. When it comes to having individual members of the party directly involved in giving us their feedback or in having party members freely submit policy ideas to the leader and board for consideration, We have a strong track record of listening to our members. We are excited and energized by the contributions that our members make every single day and we look forward to hearing your ideas on how to make British Columbia a freer and fairer society. To find your local constituency associations, click here. To view our platform and recent policy announcements click here. To volunteer and contribute as much as you possibly can click here. To donate and help us build a war chest for 2021 you can click here. 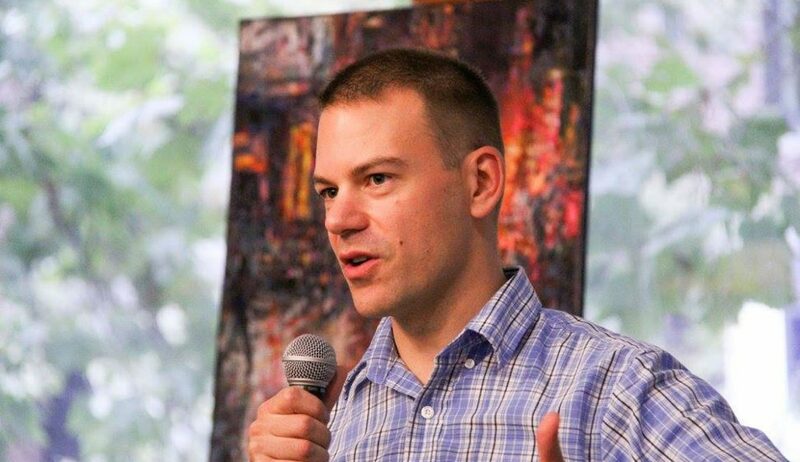 Kyle McCormack from “The Liberty Extract” recently sat down with me recently to ask a few questions about my role as leader of the BC Libertarian Party. The date was October 6th, 2018. 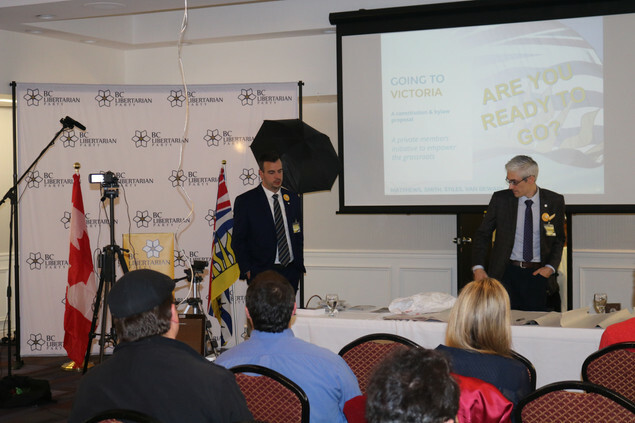 The BC Libertarian Party had spent the past few months working around the clock to promote our annual general meeting for 2018. Every mind was focused on getting members in attendance. For an event that began at 9:30am, a core team of volunteers were on site as early as 5am to begin setting up for the important day. Why would so many people get up so early on a Saturday morning just to attend our political meeting? Because British Columbians are tired. They are tired of government waste and high taxes. They want their lives back, and that’s worth sacrificing one weekend. So we sent out the call and waited patiently as people bought their AGM tickets. We were by all counts extremely successful. 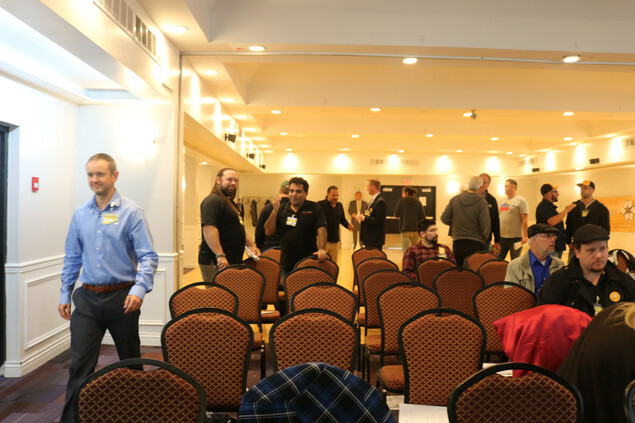 Over 50 Libertarians journeyed from across BC to witness the next steps for the BC Libertarian Party. Each member at the door acquiring a new set of voting cards and copies of important policy choices to be voted for or against on the floor. This is how any political party shapes it’s future; input and feedback from members. What excites someone like myself, who has been with the Party for over two years now, is how many new faces I saw there. It was just as pleasurable to catch up with executives and leaders in the movement, as well as our friends from Vancouver Island that we don’t get to spend time with nearly often enough. At this AGM, it was clear that there was an important issue on the floor – our aging constitution. In 2017, the Party struck a constitution committee with the task of exploring another option. 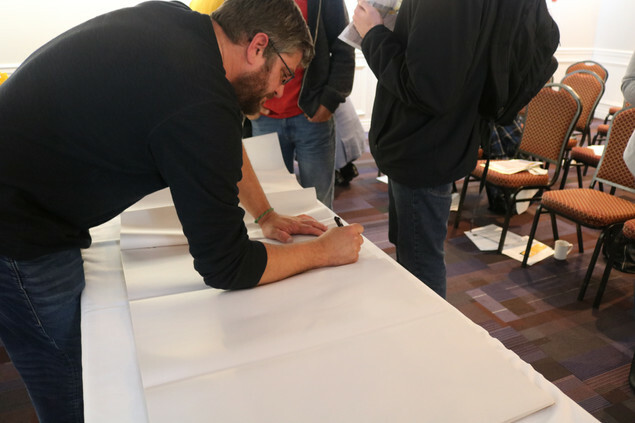 Throughout this year, other members also came together in the libertarian spirit of providing options and choice, and we ended up with two completely different documents on the floor of the convention. Both intended to completely replace our original founding documents with a vision for the future. In the end, after presentations were given to explain the merits of each document and to answer difficult questions about how the new document might affect our Party, members voted to overwhelmingly support the “Going To Victoria” proposal, offered by four members of the Party: Dr. Kenneth Van Dewark, Matt Stiles, Lee Smith and Paul Matthews. We want to thank everyone who ran for Party positions and congratulate our new Leader, Donald Wilson and Deputy Leader, Billy Morrison, and the rest of those elected to the Executive Council: Paul Matthews (President), Lee Smit (VP), Paul Geddes (Treasurer), Fiona Reed (Secretary), Kenneth Van Dewark (Party Regional Caucus Chair). In addition, we elected four Directors-at-large with Sandra Filosof-Schipper, Kyle McCormack, Noémi Klaudia, and Steve Tsonev. Workshops held in multiple locations helped to field new ideas from all our members. The BC Libertarian Party is different because it listens to it’s membership and tries to incorporate it all into how the Party functions. The BC Libertarian Party is exploding in terms of membership numbers, social media reach and candidate readiness. Over the coming years, we will reveal our election candidates and their management team, our new media team and outreach teams. Over the past year we have released a great number of new policies and the policy committee is now bigger and better than ever. 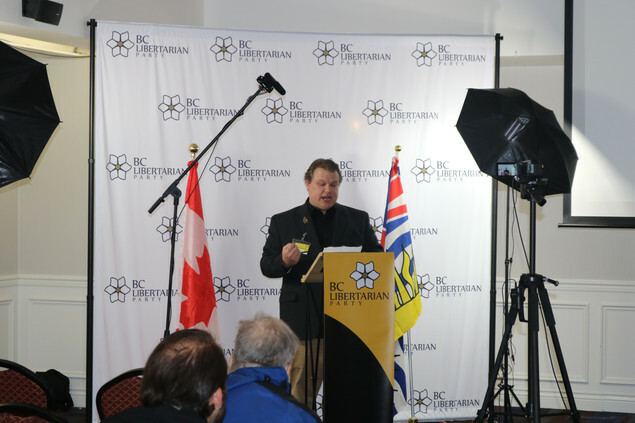 Before the next provincial election in 2021, the BC Libertarian Party will have grown in enormous strides and we will have written many new policy pieces. 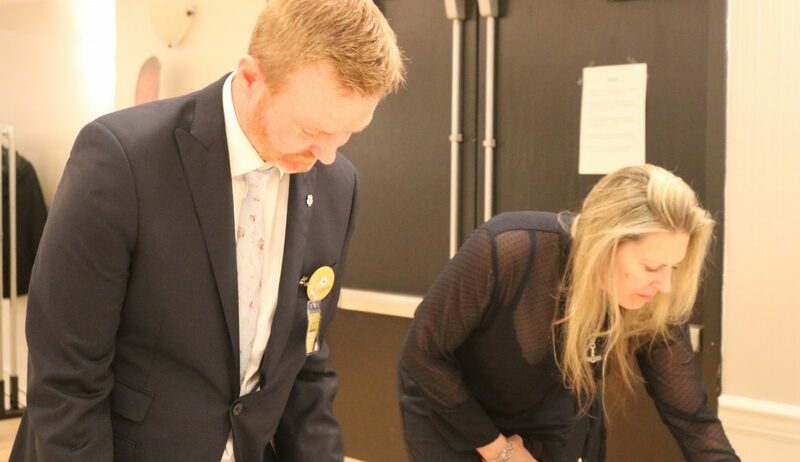 The 2018 AGM for the BC Libertarian Party was a massive success because dedicated members poured blood, sweat, time and talent into this event. We walked away with a brand new high-octane constitution & bylaws to replace our 30+ year old founding document and chart a path forward. Together, we’re going to grow this party from hundreds of members to tens of thousands.